Also at the end of January, ThunderDawg was carbon fibered. The first layer carbon fiber turned out pretty well and got a second layer of carbon fiber with larger weave for more strength. 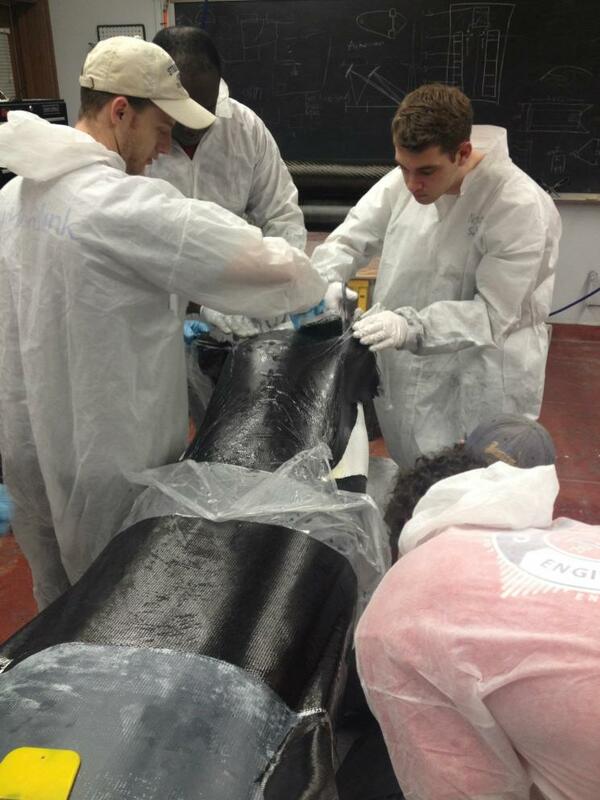 The picture shows our team applying carbon fiber to the outside of ThunderDawg.